The Freedom BT150 combines impeccable stereo sound with the go-anywhere convenience of advanced Bluetooth Technology. 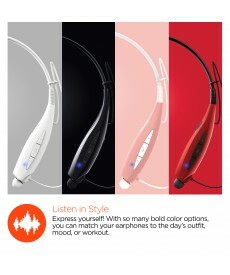 The lightweight flexible neck strap provides a stylish and comfortable hold and features a built-in microphone, intuitive onboard controls, magnetic earbuds, and a vibrating call alert. Never miss an incoming call again just because you couldn’t hear your phone ring. Experience a whole new level of wireless freedom! 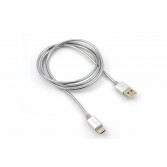 Our POWERSHIELD cables were designed to be the strongest and longest lasting cable that you can buy. 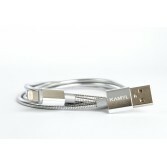 We like to say it may be the last cable you will ever buy out of necessity. 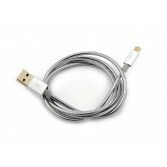 With our end to end Zinc Alloy construction, this cable can be put into any location for storage without the worry of it tangling, breaking, or tearing. With 3 different sizes and available in all 3 major styles: Lightning for Apple, Micro USB, and USB Type-C, we have you covered. Our POWERPULSE cables are the smartest cable available. A cable that knows when its plugged in, lets you know how charged your battery is, and will shut itself off once the battery is full. Available in all 3 types of connectors and in 5 different colors, this is the smartest cable available. Please watch our 1 minute video that will explain exactly why this cable is a must have for charging your phone overnight and an awesome product to have when out and about.